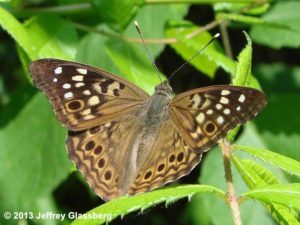 The North American Butterfly Association invites you to the initial meeting of its new NABA-Long Island Chapter on Friday, May 5th at 6:30 p.m. at the Cornell Cooperative Extension, East Meadow Farm, 832 Merrick Avenue, East Meadow. Program: Powerpoint demonstration of members’ uploaded photographs of their personal Long Island butterfly sightings. This Saturday, the Arizona-Central Chapter of NABA is going to Rackensack Canyon with Janet Witzeman from 8:30am – 1:30pm. Meet at 8:30 A.M. at the southeast corner of the junction of the Cave Creek Road and the road turning off to Bartlett Dam (about 8 miles East of Carefree). Bring a lunch, water, and close focus binoculars. On a butterfly trip to this area in the same month 3 years ago, we recorded 28 species of butterflies, including the amazing Yucca Giant-Skipper. We will also pay attention to the wildflowers, with checklist provided…Difficulty: moderate (no real trails, rocky creek bed). For questions, please email Janet Witzeman at jlwitzeman@aol.com We ask for a $5 donation.